Event managers can now create an immersive experience for event attendees using features like augmented reality. Increase the efficiency of your event with real-time updates sent via push notification to attendees mobile devices. help of Webkon apps an event can be made more eventful! Using your Webkon app attendees digitally check-in for the event using their email address and registration code. Allow attendees to maximize their time when they skip long registration lines. Update your event app in real-time with announcements, presentation time changes, and more. Enable GPS so users can easily navigate from their location to your event. Notify attendees of parking accommodations, valet, and more. Send push notifications to attendees with presentation start times, location changes, and other important event details. Create an immersive experience for attendees using augmented reality technology. Interactive presentations makes your event stand out and ensures the return of attendees next year. With Webkon application, event organizers can broadcast real-time content instantly. If you are planning to update information about the venue or the presenters or the VIP Guest or update the attendees on how to reach the venue, you can do it with Webkon Admin. Webkon apps are progressive web app that helps businesses to upload content in real-time and instantly. As soon as the content is uploaded the visit visitors can get hold of it. To make an event successful you need to ensure that you approach as many people as you can. With Webkon apps, you get to create URLs that can be distributed using different distribution channels. Webkon application gives you the freedom to reach out to your audience through Twitter post, Facebook post, email, LinkedIn, SMS and many more such channels. Webcon apps offer dynamic real time digital Signage. This Signage goes beyond social walls. 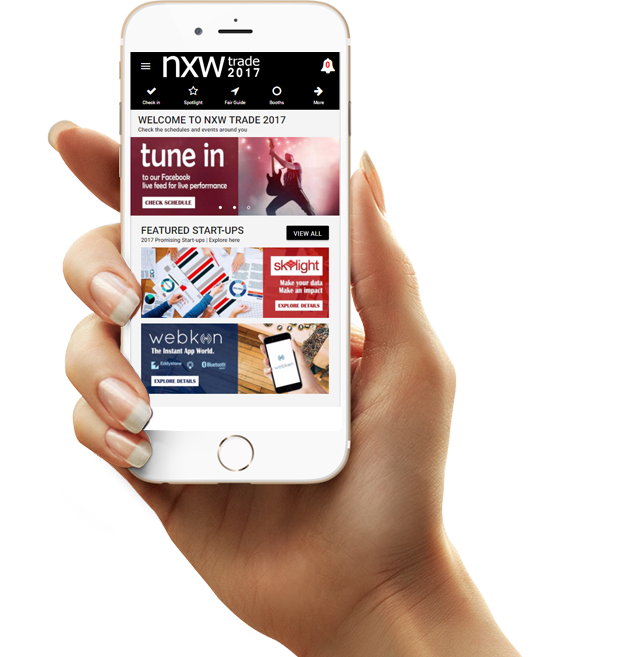 With the Signage you can integrate your event app with gamification, sponsor messages and alerts. If you are successful in engaging attendees you will see their footfall skyrocket. Also energize, engage, and educate the participants by inspiring them to join the event activities for enhanced experience with competitive leader boards, awarding points, and prizes. what to expect in the event. To grab the attention of a new prospects and potential customers, upload pictures of happy faces, successful conferences, VIP Guests, people interacting, event activities, food stalls, and more. These pictures are good way to give a potential attendee an idea of what the event looks like. You can also add videos of the shows that made events organized by you in the past successful. By simply using the Webkon Admin, event manager can send survey forms for knowing how good the event was. Answers to question like do you visit our events more often or did you like the conference or were the activities engaging or are there any improvements you would want in our next event. With the responses and feedback, event managers can improve their events and services. real time images of the events in case they are a bit late.